Welcome to the 2018-2019 School Year! 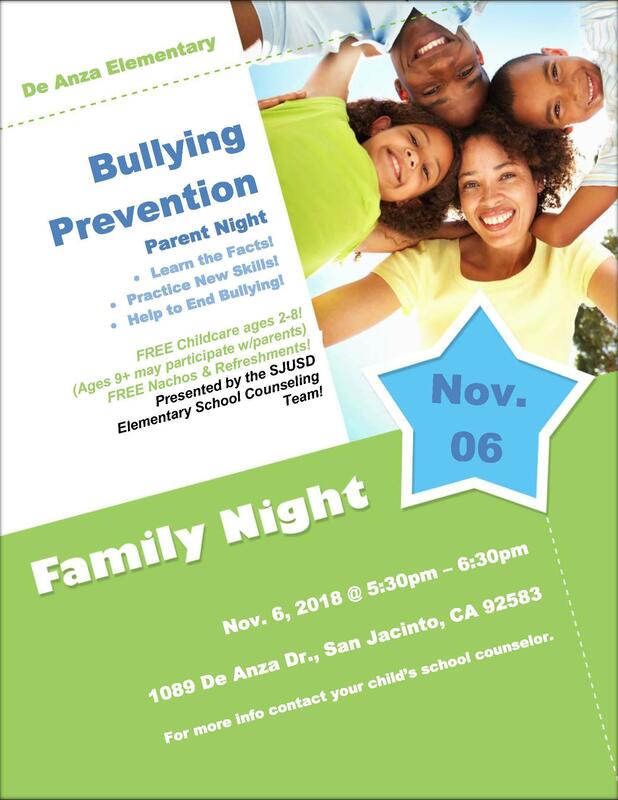 The SJUSD Parent Center is here to support you as you support your child. We know that parent involvement is not limited to volunteering in your child's classroom. We encourage you to partner with us and explore all the different ways that you can exercise your parent involvement to support your child's school and their academic success. 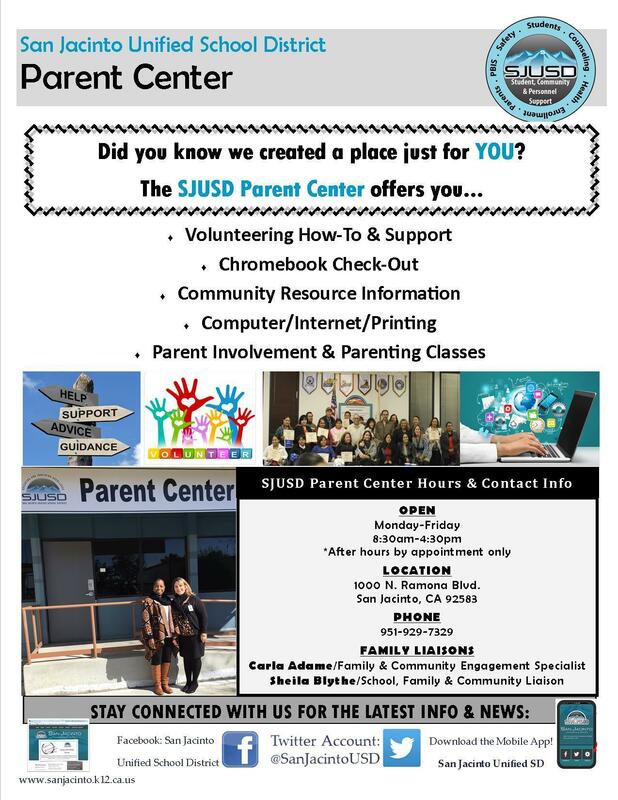 Please click on the links to the right to learn more about our various Parent Engagement opportunities and find the one that speaks to you! 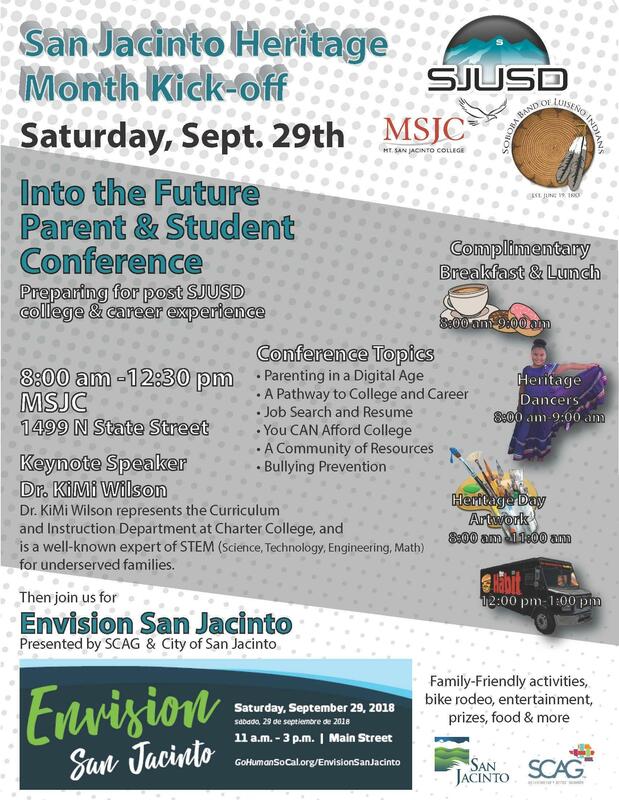 We look forward to joining you on the journey towards raising a College and Career Ready child - on the San Jacinto Difference path. Stay "In-the-Know" of all this year's special events, meetings and activities so that you don't miss out on some great opportunities that will help you help your child. 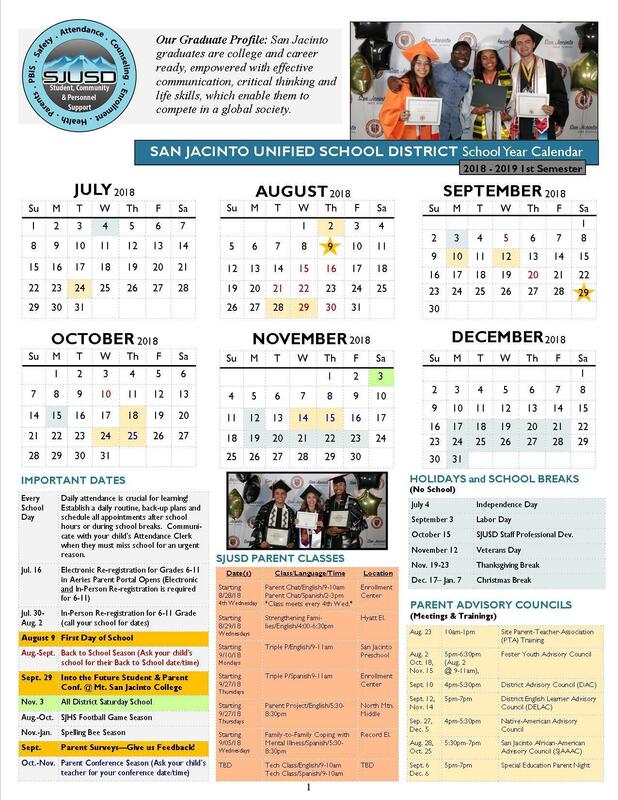 Remember that our district loves to hold events, meetings and activities at various schools but they're open to all parents. 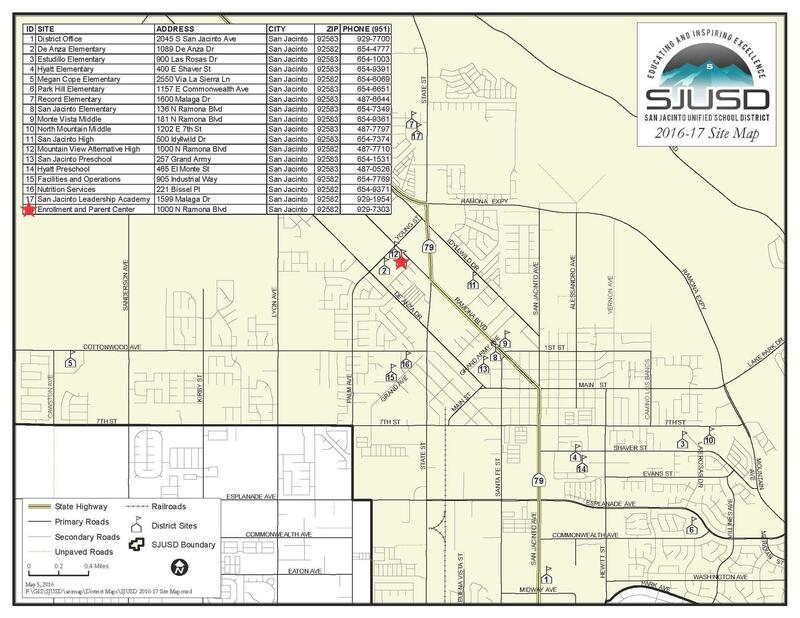 Below is a map of our district schools, offices and departments. Communication is KEY! 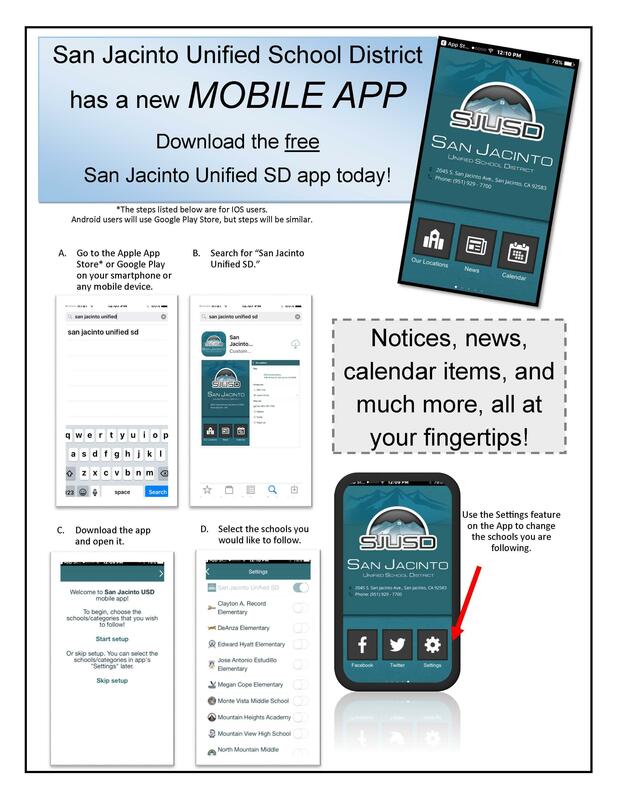 Download our Mobile App today and stay informed of all the important announcements, log into your Aeries Parent Portal and much more!